I have a secret! I have a crush on Tim Holtz. He is amazing. Whether I watch him on television, Youtube or live and in person, he inspires me. Every. Single. Time. For those of you that aren’t familiar with him, Tim Holtz is an artist. He works for scrapbook and rubber stamp companies like Stampers Anonymous, Sizzix and Ranger Ink, designing stamps, die-cuts and multi-media materials like ink and paint. He then travels the world to demonstrate how to use these materials and tools. He’s written books. He’s re-designed scissors and lamps. He’s a genius. Both artistically and marketing-wise. I mean the man touches a product and millions of screaming fans buy it sight unseen. When I am not in the kitchen cooking, I am at least dreaming about being in the craft room creating. 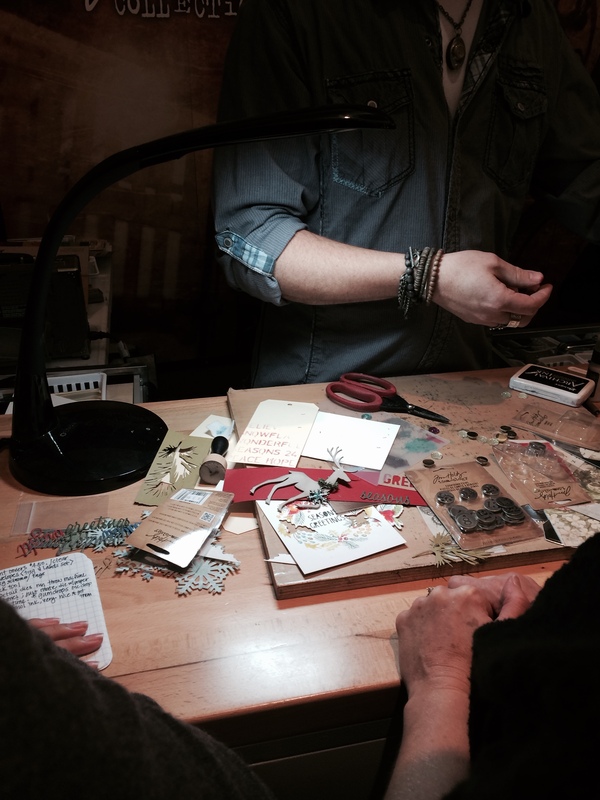 Cards, scrapbooks…doesn’t matter as long as I am being creative. And here is where I fell in love with Mr. Holtz all over again yesterday. 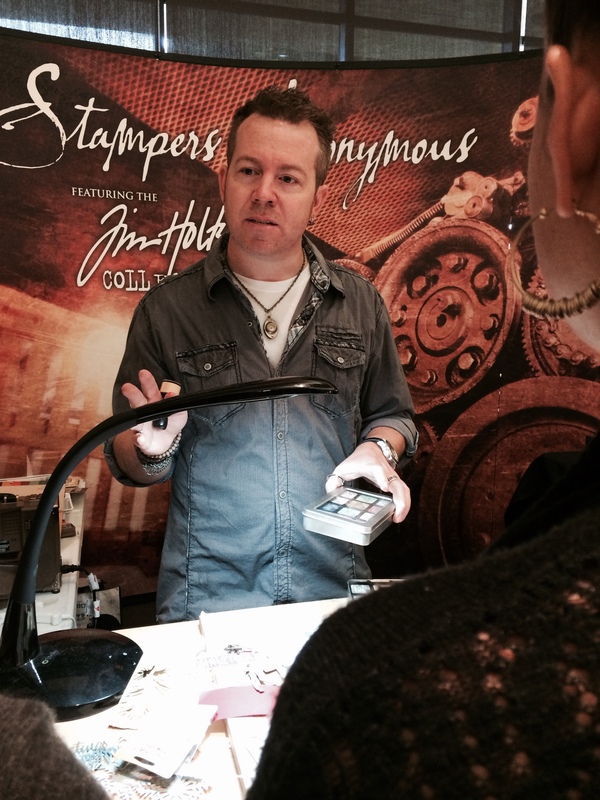 I went to a Rubber Stamp Convention yesterday with my girlfriend Julie. We went to be inspired, but mainly we went to see Tim. Of course his totally insane fans made it difficult to see what he was doing. These relentless women wouldn’t budge an inch so we couldn’t see what amazing projects he was creating. But we could hear him. And what he said was just what I needed to hear. Mr. Holtz talked about being sad that he gets comments on his blog posts and in person about people not being able to find the time to be crafty. He questioned what kind of life we are leading if we can’t even find one hour a month to do something for ourselves. And he’s right on the money. He offered a great suggestion. Schedule one hour a week…or one hour a month, even if it is in 20 or 30-minute increments and just do one thing. Just die-cut shapes. Then the next scheduled period just ink. After all the steps are complete your last appointment with yourself should be to assemble your pieces into the final project. Repeat. This type of scheduling could work for any project that you can’t seem to “get to”. But for me, being creative is key. Thanks Tim for once again inspiring me!